Patrick Lanning – Is Education Still Worth It? Ever since the introduction of computers, the internet and digital life, many aspects of our daily lives have been either changed, or have been abandoned completely. One such aspect which is facing a great deal of debate right now, is that of education. The reason behind this is the firstly, education is not needed to become an internet sensation such as a blogger, a vlogger or even to create an online business, the second reason is that many believe that education does not properly prepare us for life. I was speaking to family friend Patrick Lanning when I was back in Oregon recently about this subject, and in spite of the noise surrounding education, I still believe that it is worthwhile, and here is my reasoning why. Whilst the internet is of course a great place to create a business and find your own way of earning, it is not for everyone and if anything, education should be used to help people understand this world better. My general opinion is that education must change, rather than be abandoned as it is still necessary to gain access to the world of work. Perhaps you have dreams of being a president or a government official, a doctor or a lawyer, with these careers especially, a candidate who received their education on YouTube will be laughed out of the room. There are still jobs which require a proper education and so in this regard, it is absolutely worthwhile. The danger of learning things online, even from a relatively reliable source, is that you can never truly be sure if what you are reading and learning about is accurate. Unfortunately, the internet is relatively unpoliced which leaves space for charlatans to do unscrupulous things, including posting false information. My belief is that universities, schools and other educational facilities, should 100% utilise the internet to better provide an education for its students, but no student should depend solely on what they read and see online when it comes to learning something new. Another reason why I believe that traditional education methods are the right way of doing things, is that education is not just about learning about topics. Education provides us with an environment where we can grow as people, make new friends and learn social skills which will be vital going forward. Cooping yourself up in your room, stay behind your laptop, is no way to form any kind of relationship, and it could do great damage to your social skills in the future. The biggest issue that I do have with education, and it is one which I believe pushes more people straight into work or even away from education altogether, is the cost. 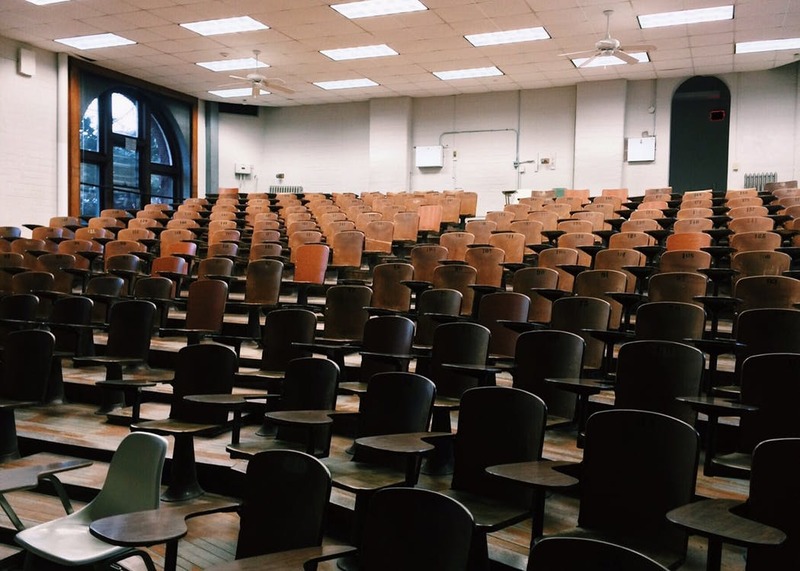 The costs of a university education is extraordinary and it is up to the educational organisations to fix this, in order to keep people interested in a traditional education. Through a combination of traditional education and modern techniques, we can help to bring down the cost of eduction and make it accessible to everyone.